Buckeye Fire offers a cylindrical solid foaming agent for use in certain cartridge type fire extinguishing foam nozzles to fight Class A fires. 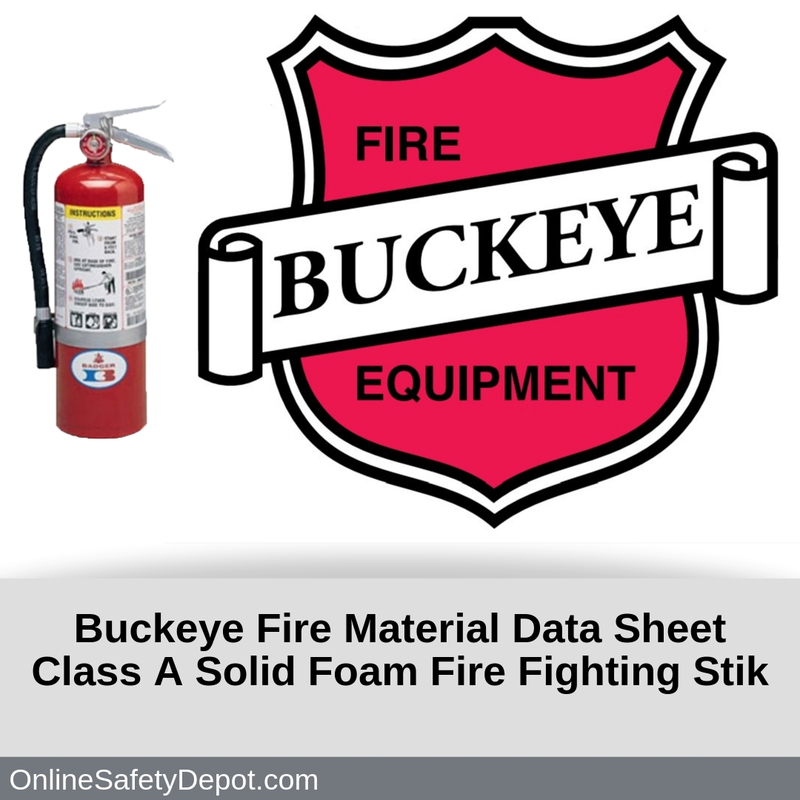 This section explains how to identify the Class A “Solid Foaming” Fire Stik fire extinguishant and provides various hazard and precautionary statements pertaining to health, such as exposure to various body tissues. This section lists chemical composition along with the CAS number for each of the ingredients in the Class A “Solid Foaming” Fire Stik. This section explains how to treat chemical exposure to the eyes and skin as well as how to treat someone who has inhaled or ingested the chemical. It also identifies existing medical conditions that may be aggravated by exposure to the Class A “Solid Foaming” Fire Stik. This section identifies the product as an extinguishing agent and if it is flammable and combustible. It also indicates if the agent may decompose in fire and release oxides of sulfur and nitrogen. This section describes what to do in a situation where the agent has been released accidentally, including how to clean it up, and the process to decontaminate. This section identifies the physical and chemical properties of the Class A “Solid Foaming” Fire Stik agent. This section identifies any effects that agent has on ecosystem toxicity and aquatic life, and it’s degradability in water.